Please disregard the announcement in the weekly email. 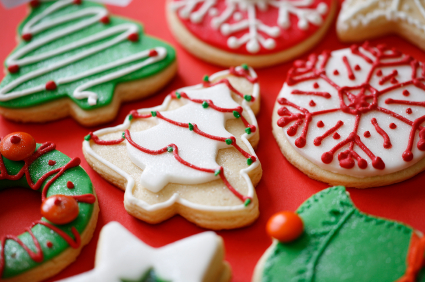 *The 2018 10 Annual Cookie Walk will be held Friday, Dec. 7 from 11:00 to 4:00. Right now we have signed up about 60 bakers. Our goal is 100. Have you sign up yet? Are you able to help with this important event? Please sign up in the cloister or online. *There is also a sign -up sheet for shift workers in the cloister. *Can you help with the Cookie Walk poster distribution? The Cookie Walk Committee needs your help to get the word out about the Cookie Walk that is coming on Friday, December 7. Your help with this will be greatly appreciated. On Sunday in the cloister you will find signs listing various areas of town. On each sign there are post-it notes that list businesses within that area that have previously displayed our posters. Do you see businesses that you frequent? Are there businesses near your home, work, or walking path? Take any post-it that you can deliver, and attach each to its own poster. Then deliver all posters by Sunday, November 25. This year we are going to try something new. We have scheduled 2 dough days. During these times you can reserve a time to bring your homemade cookie dough to the church and bake in the new convection ovens. There are 2 ways to do this. Bring your dough already scooped onto your baking sheets, or bring your dough and scoop onto the church’s baking sheets. Also bring containers to transport your cookies home. Please call Carolyn Freberg (717-713-0985) to reserve a time. Times will be adjusted or added to meet the demand.